Fall is an awesome time to visit Walt Disney World® Resort. The weather is pleasant, the crowds have thinned out, and there are lots of special events. Across Epcot, Magic Kingdom Park, Disney’s Hollywood Studios, and Disney’s Animal Kingdom, there are many special events and fun fall attractions. To help you plan a fun Disney getaway this fall, we’ve highlighted the top 5 reasons to visit Disney World in the Fall. 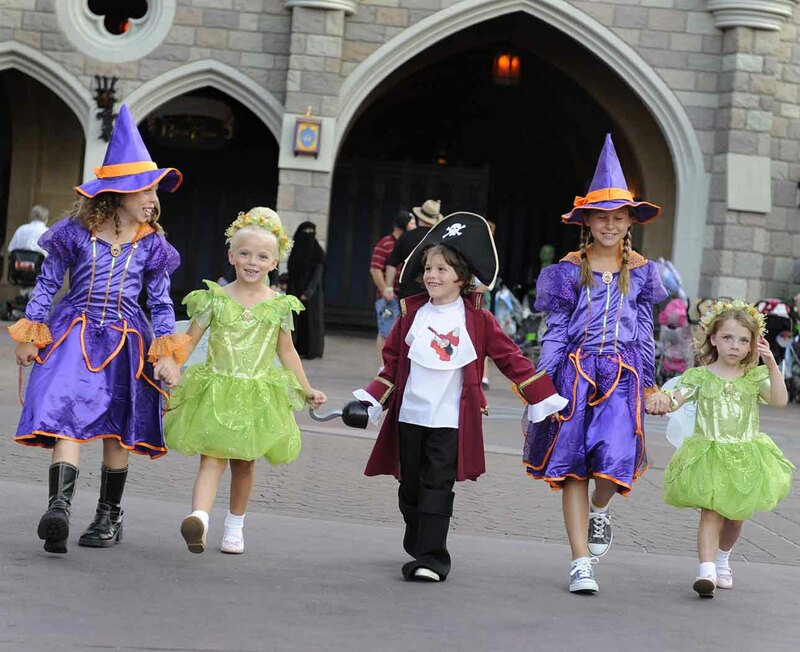 Mickey’s Not-So-Scary Halloween Party is a classic Disney World event, offered each year from August to October. Kids will love dressing up for this after-dark special event at Magic Kingdom Park to collect sweet treats and meet the not-so-scary villians and ghosts wandering the park. In 2018, Mickey's Not-So-Scary Halloween Party will see the return of the Sanderson Sisters from Hocus Pocus to cast a spell on the audience! The mansion will transform into the haunted mansion, while a beautiful display of fireworks lights up the sky to the tune of spooky halloween music. The "Happiest Haunting on Earth" is made for children, so there's no need to worry about the kids getting too spooked during this special event. Disney has long been treasured by parents looking to convey positive messages to children through the art of story telling. Holidays are unique to each culture and teaching children to cherish, respect and appreciate the traditions of all cutlures can be a valuable lesson to learn. Epcot's International Festival of the Holidays is the perfect place to immerse children in the joys of diversity. At the Epcot International Festival of the Holidays, your family can get a taste for many different cultural traditions. Holiday Kitchens bake sweet treats to honor the cultures of people from Canada, to Mexico, throughout the US and beyond. Festival music is wide-ranging, offering the chance to listen to everything from gospel music to mariachi bands and more. Holiday story tellers teach guests all about the joys of their heritage and the celebrations they enjoy in their homelands. Disney's Hollywood Studios added a popular new attraction to its offerings in the summer of 2018. 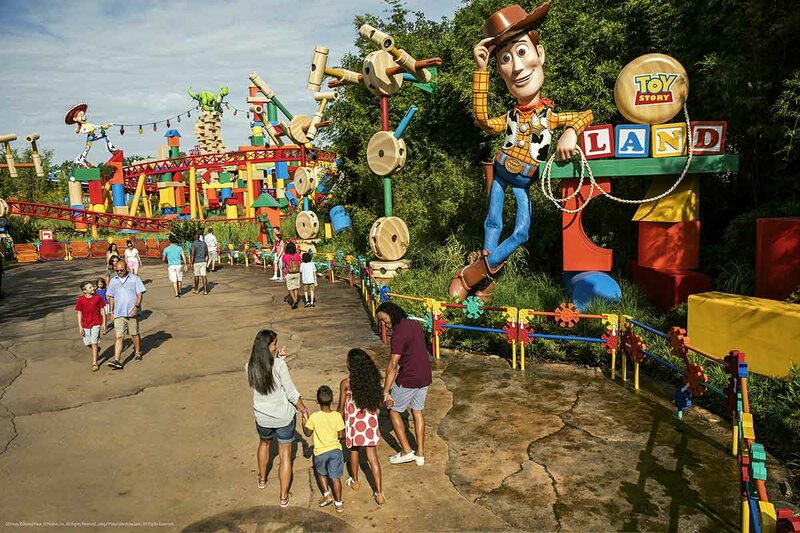 The much anticipated Toy Story Land has been a huge success since opening in late June. Kids and nostalgic parents have been pouring in to make their mark on this 11-acre fun zone, filled with the beloved toy characters from the three Toy Story movies. With the upcoming release of Toy Story 4 set for 2019, this attraction likely won't die down in popularity. For those looking to take a ride on the Slinky Dog Dash or meet the giant, talking Buzz and Woody structures, a fall Disney Hollywood Studios trip might be the golden ticket to smaller crowds. Epcot's International Food & Wine Festival is a culinary delight for families who love food and music. If you have tweens or teenagers in the family, this event offers the perfect mix of fantasy and reality for the child who is 13-going-on-30. The Junior Chef Kitchen allows families to get their hands dirty and cook something tasty to eat. A real Disney chef offers candy sushi classes, where you can learn to roll a sushi-inspired sweet treat. The Eat to the Beat concert series offers music from R&B to country and more. These are just a sampling of the many family-friendly activities offered at Epcot's 2018 International Food & Wine Festival. Planning your trip to Disney World? Learn more about the Walt Disney World® Resort and reserve your Orlando vacation rental now!